Enrich your life, sharpen your job skills and make new friends by learning a foreign language. 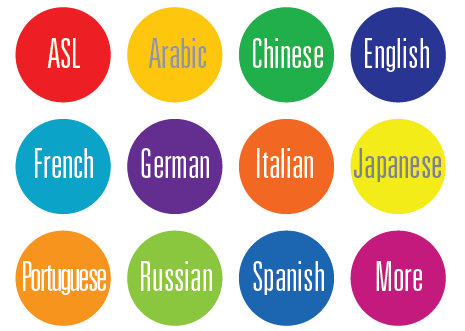 We provide complete language training customized to each student's individual needs and desires. Whether it is a one-on-one Russian class, a four-week immersion program or a group Spanish class for your company, we can help you or your employees master a new language. Our instructors are all trained language teachers who know how to help you to learn the desired language quickly and efficiently. Our nationwide language instruction team offers private, semi-private, group and immersion programs in Spanish, French, Italian, Portuguese, German, Mandarin Chinese, Japanese, Arabic, English as a Second Language (ESL) and more. If you live in the Indianapolis area, click here. Otherwise, click the "Get Started" icon below.